What Are the Pros and Cons of the Different IDX Solutions? Not all IDX are equal. In fact, IDX really is an umbrella term for four separate technologies. Each one uses a unique method to connect your website with your MLS. And each has a series of strengths and weaknesses. 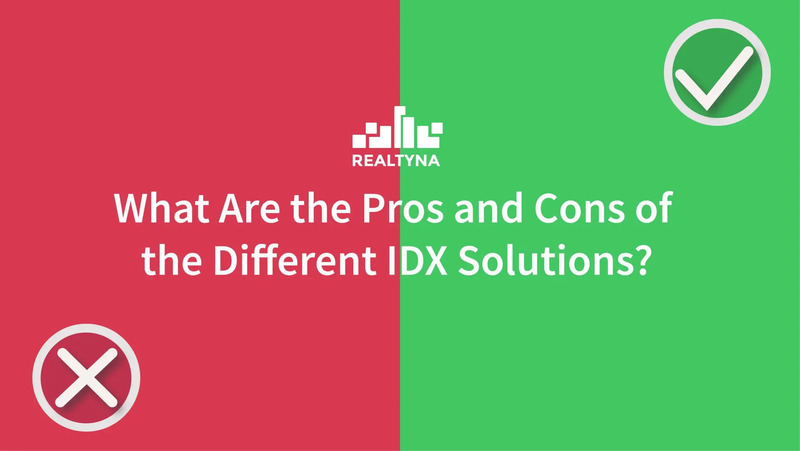 In this article, we’ll review the pros and cons of the different IDX solutions to help you make smarter IDX decisions. But first, let’s review some important concepts. IDX, or Internet Data Exchange, is why you and I are able to browse MLS listings online. More specifically, IDX are the rules, licenses, and technologies that allow real estate agents to connect to an MLS and display listings on their websites. IDX has been around since the 1990’s to help agents market online. But since that time, the technologies have evolved a lot, leading to four separate types of solutions that all qualify as IDX. IDX is important because of the growth of the Internet in real estate. As recently as 2017, NAR said that 51 percent of homebuyers found their home online. The percentage is even higher for young people. Real estate agents need to market where the buyers are. IDX helps address this need by providing the means for agents to display listings online. What Is an IDX Vendor? Many real estate agents are tech savvy, but few have the background in database management necessary to establish and maintain an IDX feed. When building an IDX site, most hire a consultant instead. This consultant is usually an IDX vendor, a tech company that specializes in IDX software and services. The IDX vendor sells everything necessary to set up IDX on an agent’s website. The four main IDX technologies are: IDX Framing, FTP IDX, RETS, and RESO Web API. While some of them are decades old, you can still see all of them in the market today. IDX framing can be thought of as the granddaddy of IDX. Probably the oldest IDX technology, IDX framing works by using a web design feature known as an iFrame to display listings on your site. Iframes are flexible in that they can be placed anywhere on your site with a few lines of html code. However, a big drawback to IDX framing is web visibility. Google and other search engines do not consider design elements when indexing a site for content. This means that an listings in your iframe will not be read by Google and will not appear in reach results. FTP IDX has been around about as long as IDX framing. It is adapted from a popular method of transferring files between a computer and a server known as File Transfer Protocol. Unlike IDX framing, FTP involves local hosting. This means the listing data displayed on your website is hosted on your web server rather than on a third party server. This avoids the SEO problem of framing. But FTP IDX has disadvantages too—mainly speed and integration time. Under FTP IDX, the entire FTP file must be downloaded for each synchronization. This takes time and limits the number of syncs possible each day. FTP IDX also is not standardized across MLS. This makes it difficult to connect multiple MLS into the same site. It also takes longer for vendors to integrate because they must start from scratch for each MLS. RETS, or Real Estate Transaction standard, was designed by the real estate industry for the real estate industry. Based on the Extensible Markup Language (XML), RETS provides a faster way to transfer and display listing. Like FTP, RETS involves local hosting, so the listings you display are hosted on your webserver. But unlike FTP, RETS can update incrementally. At each synchronization, it only downloads new or modified listings from the MLS. RETS is also close to uniform across MLS. While setup is not as fast as IDX framing, it is significantly faster than FTP IDX. RESO Web API is the newest of the IDX technologies, first rolled out to MLS in 2016. Introduced by the Real Estate Standards Organization, RESO Web API, like RETS, was designed specifically for the real estate industry. 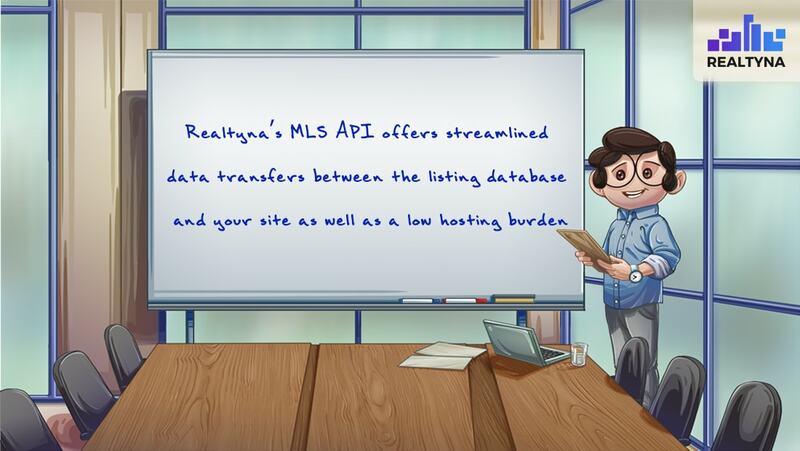 The technology uses API or Application Programming Interface, to call listings directly from the MLS. This continues the strong SEO of RETS and FTP IDX while reducing the need for local hosting in some cases. RESO web API also is built on familiar protocols. This means there is a larger developer pool able to integrate RESO Web API and incorporate it into apps. So these are the pros and cons of the different IDX solutions. For our guide on building an IDX website on WordPress, check out 13 Steps to Build An IDX Real Estate Website With WordPress.